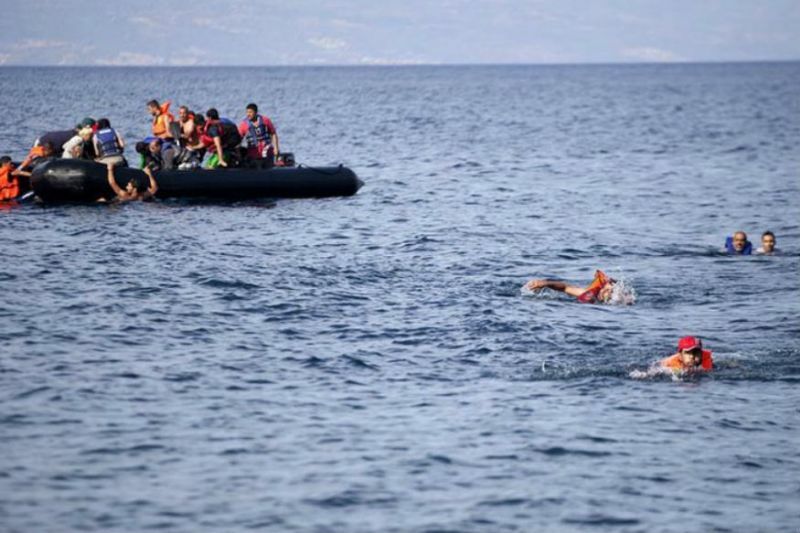 In June 2018 alone, more than 500 refugees drowned in the Mediterranean Sea. Their boatswere refused access to land in either Malta, or Italy. They were force-driven back by gun-boats to the North African shores they came from, mostly Libya, but many boats capsized and countless refugees didn’t make it. These are de facto murders, high crimes against humanity, committed by the very European Union. The same “leaders” (criminals, rather), whose forebears are known to have raped, exploited, tortured,ravaged peoples and their lands of Asia, Africa, Latin America over the past 1000 years of abject colonization. Europeans have it in their genes – to be inhuman.This can possibly be extended to the ‘superior’ greedy white race in general. At least to those who make it to political or corporate high office in the formidable EU or exceptional US, or to those who appoint themselves into the European Commission. We should call them “The Heartless Bunch”. This is the so-called West, now led by the United States of America – basically the British empire transplanted across the Atlantic, where they felt safer between two shining seas, than as a rickety island in the Atlantic, just in front of the enormous, contiguous land mass called Eurasia.The Old Continent, alias Europe, was given by the new trans-Atlantic empire, the new masters of the universe, a subservient role.And that was in the making for at least the last 100 years, when the new empire started weakening Europe, with two World Wars. As a consequence, the by now well-known German NGO “Lifeline” boat with 234rescued refugees and migrants on board from Africa and the Middle East – miserably poor, sick, desperate people – struggling for sheer survival, many with small kids, who wanted nothing more than their children to have a better life – was rejected by Malta, turned back into the sea, under guidance of NATO and EU hired military-type private contractor gun-boats.Eventually Portugal offered her safe shores for the refugees. Malta has a Partnership for Peace (PfP) Agreement with NATO, i.e. obeys NATO orders. NATO, a killer organization, has, of course, not a shred of humanity in its structure, nor in the blood of the people at its helm – anywhere in the world. Imagine – in this context, an EU summit took place at the end of June 2018 to “arrange” and agree on howtohandle the refugee crisis in the future, in other swords, how to keep them out of Europe. None of the countries, other than Germany, were even considering accepting some of these poor souls out of sheer humanitarian reasons, to give them shelter, food and medication. The discussion even considered where to build a wall – yes, fences were discussed to keep them out – Europe a xenophobic free-port for the rich, acting in questions of migration as a carbon copy of Trump. They deserve each other, Trump and Brussels, trade wars not withstanding – let them shred each other to pieces. Well, this almost happened during, before and after the now-called “mini-summit”, with Madame Merkel almost losing her Chancellor’sjob, as she, against all odds, represented the most humanitarian view of all the 28 neolibs.This did not go down well with her partner party, the ultra-conservative Bavarian CSU. Calls for her resignation abounded. The GermanInterior Minister, Horst Seehofer, was about to resign over Merkel’s alleged refugee ‘generosity’ – in which case the highly fragile right-left coalition would have collapsed – and who knows how Germany may have continued to govern. Perhaps new elections would have had to be called, and then only god knows what might have happened. The empire could not allow this uncertainty to prevail, because Washington needs Germany as the chief-slave driver to lead Europe into total disarray and serfdom. It worked. Germany is alive and saved – and ticking. Instead, the European refugee / migrant policy is in shambles. The EU are literally out to kill refugees, as a means of dissuasion? – Mass-murder as a means of discouraging the desperate toseek shelter in those very countries that were instrumental in destroying their livelihoods, their families, their towns, theirinfrastructure, their education and health facilities – their youth? Generations of young Middle Eastern and African people are gone, destroyed. Did these high-ranking EU officials in Brussels mention their own huge responsibilityforthe refugeefloods with one single word? – No, of course not. Not with one breath. Has the conscience in one single head of these fake, neolibs-neonazis, as it were, self-serving EU heads of state been awakened by this very fact of guilt for what they are to confront? – Has it caused sleepless nights? I doubt it. They are far from this level of human compassion, they are monsters. All was voluntary. The only agreement they could book for themselves, is to build refugee camps in North African countries for the shipped-back survivors. Fortunately, every North African country, from Egypt to Tunisia, Algeria, and Morocco said no. Having seen what happened in such literal slave camps in Libya, they had at least the compassion for these desperate human beings to prevent this from reoccurring.Compassion, a term, a feeling orsensation, the Europeans are devoid of. However, no Israeli- Trump- Brussels-type wall or barbed-wire fence will keep the desperate in their economically, or by war, or western terrorism destroyed countries. The west, and only the west, is responsible for the endless destructive chaos, torture and lawlessness in these nations that the west wants todominate, for myriad reasons – to steal their energy, minerals; for their strategic location, and finally on the way to total fullspectrum world hegemony. This, the west will notachieve. That’s for sure. Evil will not prevail in the long run. Darkness will eventually cede to light. That’s the way nature works. But on its way to collapse, Evil will maim and kill millions of lives. Countless children will have no future, no parents, no education, no health services, no drinking water. They will be made toslaves as a means for their survival, to be raped and exploited or eventually killed. The European crime is of infinite dimension and nobody sees it, let alone stops it.